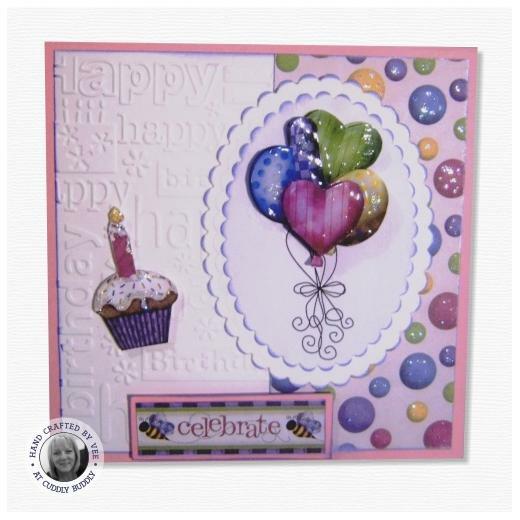 Celebrate special spring days with the bright cheery colours in April Celebrations by Barbara Anne Williams. You'll find a daffodil, Easter egg and butterfly in addition to birthday candles, balloons and a cupcake. 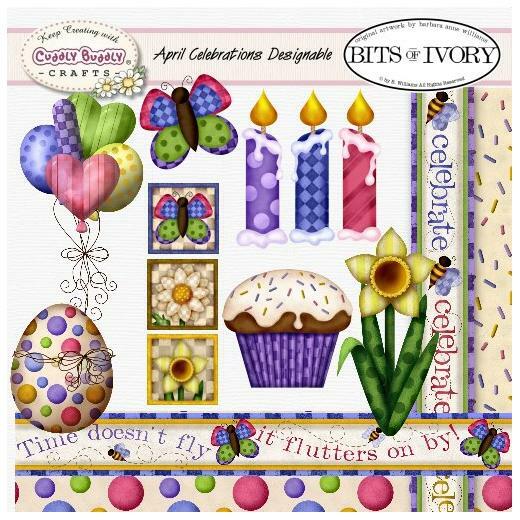 Two borders and two 8 x 8" backgrounds complete this set making it perfect for your candy wrapping, scrapbooking and paper crafting projects. Images are in 300 dpi .png or .jpg format for high print quality. This set coordinates with the April Blossoms set.